The 56th session of the United Nations Convention against Torture (CAT) was held in Geneva this year from November 9 to December 9, where a Chinese delegation was present to testify to the progress its nation has made and explain away the human rights violations it continues to make. China has ratified international conventions against racial discrimination, discrimination against women, and torture and inhuman punishment, yet in each case it objected to relevant stipulations that when disputes with other state parties lead to an impasse, these cases are to be submitted for arbitration to the International Court of Justice. China doesn’t accept the ICJ’s jurisdiction. 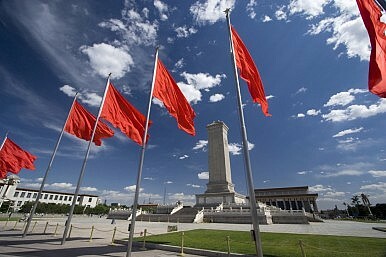 As a former victim of British, French, German, Japanese, Russian, and American imperialism, Beijing is understandably wary of adjudicative processes in which a third party determines the outcome, as opposed to consensual processes such as collaborative law or negotiation, which allow China to ride herd on its own affairs. Refusing adjudication wouldn’t necessarily be problematic if China’s negotiation tactics amounted to more than stonewalling, but they rarely do. Instead, China offers a Hobson’s choice — take it or leave it — which became blindingly clear at this year’s CAT. The Committee began by citing a number of cases in which defense lawyers had been detained or evicted from courtrooms while exercising their legal duties, including the cases of Zhang Keke and Gong Xiangdong, but the Chinese delegation claimed they could find no evidence of this. The Chinese delegation then provided a conspectus of lawyers’ rights as given by the 2004 Law on Lawyers, which ensures no organization may infringe upon a lawyer’s duty to defend their client’s legal rights, adding that China models its administrative measures on the practices of other nations and therefore it’s “improper” for those nations to consider such measures a violation of lawyer’s rights. In other words, don’t criticize us for this because we learned it from you. The Committee also raised the issue of prisoners being beaten to death, but the delegation didn’t admit to a single instance. Rather, it replied to particular cases, noting that Lin Lifeng died of irregular breathing, Yu Weiping committed suicide, Chen Xujin died of multiple organ failure, Li Wangyang committed suicide, Cao Shunli died of multiple organ failure, and so on. When the Committee made inquiries into Masanjia Labor Camp, where reports of torture are common, not to mention infamous, the delegation replied that inmates are well cared for and maltreatment is strictly prohibited. In addition, the delegation would like you to know that no one was tortured after the 2009 Urumqi riots, rumors of Ilham Tohti’s torture are “not based on facts,” allegations of excessive police force in Tibet are a “distortion of fact,” Liu Xiaobo’s wife is in fact not under house arrest and stories that Wang Debang, Zhang Zuhua, Xu Yishun, or Liu Shasha were tortured are — you guessed it — false. This isn’t to say that China hasn’t made progress, but even its progress is hampered by this “move along, nothing to see here” attitude. For instance, the 2012 amendments to Criminal Procedure Law are expansive, and include prohibitions against torture, but only for extracting information, not for other purposes. Also, the amendments require that medical examinations are available at all detention centers; however doctors must report signs of torture directly to police — the very agents potentially committing torture in the first place (rather than to victims’ lawyers). So while China has made legal progress, loopholes allow human rights violations to remain business as usual. Meanwhile, it warms the heart to learn that when Chinese officials are arrested, the lavish luxury with which they are showered seemingly knows no end.